Does Credit Card Debt Live Beyond Your Lifetime? 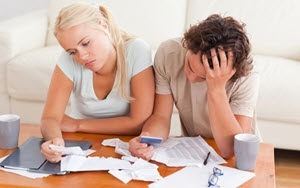 Many believe that credit card debt dies along with you. That is not exactly true. So what does happen to credit card debt after you pass away? There is no simple answer to this question. And the complete answer depends on a number of variables such as who else is on your account, whether you have a living trust, and what state you live in. When you die, your estate is required to pay any … [Read more...] about Does Credit Card Debt Live Beyond Your Lifetime?